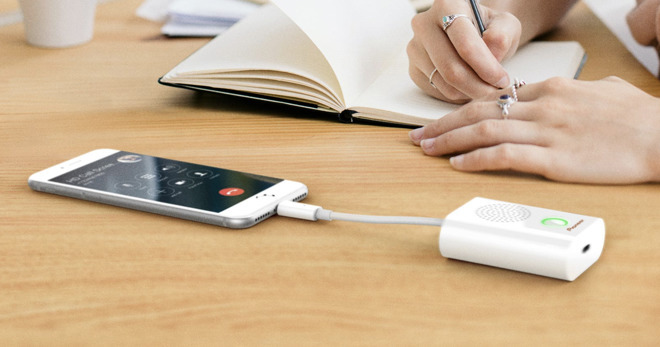 The Rayz Rally has no battery, an has the ability to pass-through charge to the device, if a Lightning cable is plugged into the speaker from an external power source. The same charge port allows the Mac or a Windows PC to use the device as well. Pioneer claims that the device "automatically knows what mode" that it is in, either being used for a call, or for general audio playback, and will optimize the audio accordingly. The single button on the device will mute or unmute calls, or play and pause music, depending on what it being played. Firmware for the device is updated through the Rayz app, which also accommodates the similarly branded Lightning headphones in the series of accessories. The Rayz Rally is available on Amazon for $99.95.